We’re about a week into 2019 – How is it going with the resolutions, goals or intentions you set for the New Year? If you’re like me (and most people I know), you’ll find yourself questioning some of your resolutions by now, and before the end of January over half of them might have been tossed out. Or maybe you didn’t even bother to write any of them down, or you have told people you don’t do resolutions – but let’s be honest, there is this secret list of things you want to change in your life (or that you think you should change), right? So how come that resolutions don’t really work? Indulge me for a moment, and look at your resolution list, or write down 10 things that you secretly wish were different or better in your life. Things you long for, or are discontent with for whatever reason. How many items on your list are things you truly love, that light you up and make you come alive when you think about them? These are the things that can actually motivate you to take actions towards your dreams… And often the only thing that we need to keep going, is someone who believes in us, even on days when we doubt ourselves; someone who can keep us accountable to continue to move forward and become the person we have the potential to be. How many items on your list are actually items that you think “I should”? Why “should’s” don’t work: Most of the “should’s” we carry around are actually not coming from within us, they are reactions to someone else’s expectation or standard that we have internalized. By that definition, the motivation for those are fear and shame – the fear that others might not like us or reject us, and the shame that covers up that fear and our vulnerability. Unfortunately, neither shame nor fear promote growth, they keep us stuck in, and at the effect of, our circumstances. It’s a vicious and self-perpetuating cycle, or downward spiral. How many of the items on your list are old habits that you are wanting to change? Do you actually have an idea of what might be behind these habits, what they might be covering up? What I mean with this is: A lot of our “bad habits” are things we don’t do, because we really want to, or because we love them – no, we engage in these behaviors, because we don’t know how else to deal with the pain inside of us. We call these “Short Term Energy Relieving Behaviors”: we blow off a little bit of the steam when things get unbearable, but these behaviors don’t really bring any long-term relief or resolution (as in actually solving the issue). I need to lose weight = I eat when I’m sad, lonely or overwhelmed. I need to declutter and get organized = I engage in retail therapy when I feel isolated. How many of the items on your list are a response to some lingering resentment that you have been carrying with you? The root of most resentments or grudges is “unfinished business”: it’s the things we didn’t say or do, or weren’t heard in the way we needed them to be heard; or the things that we wish someone else had or hadn’t said or done. How many of the items on your list are a longing or complaint that something should be “different, better or more” than it is? If you have any items in the categories 2-5, it is a sign that you are carrying unfinished business with you, or, as we Grief Recovery Specialists call it, “unresolved grief”. And the tricky part of unresolved grief is: it is cumulative, and cumulatively negative; it is largely ignored or unconscious – and it occurs to us as “fate” or “unchangeable circumstances” that we feel powerless about. Grief is also the complex and often conflicting emotions that come up at the end of, or the change of a familiar pattern in behavior or life. Grief is reaching out for someone who has always been there, just to find, when we need them one more time, they are not there. Grief is also reaching out for someone who has never been there for us, just to find, when we need them one more time, they are STILL not there in the way we’d need them. In summary, when your resolutions aren’t happening, it’s not because there is something wrong with you. It’s because you haven’t been given the right tools or information of how to do it differently. 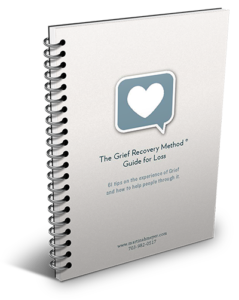 Luckily, this information is available: It’s called the Grief Recovery Method. If any of this resonates with your soul, even just a little bit – I invite you to take this as a sign to give me a call and see if this is a good fit for you. There is no need to wait – it’s never too early or too late to stop the pain and start living more fully. 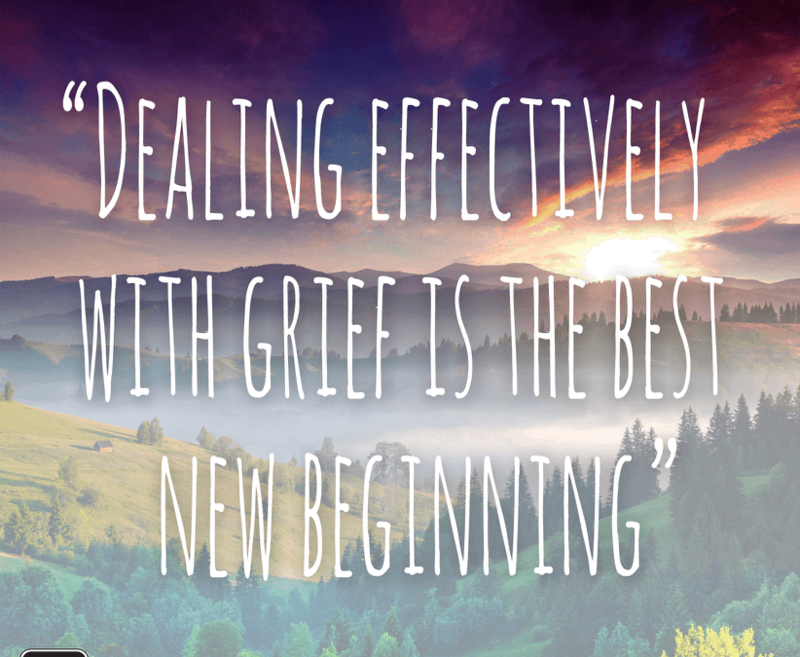 My first in-person Grief Recovery 8-week program & support group in Old Town Alexandria starts on February 2nd (yes, Groundhog Day – so that 2019 doesn’t become another Groundhog Year…) and I have also made a few additional 1:1 Online Coaching Times available this month. Simply schedule your free call on my calendar right here.